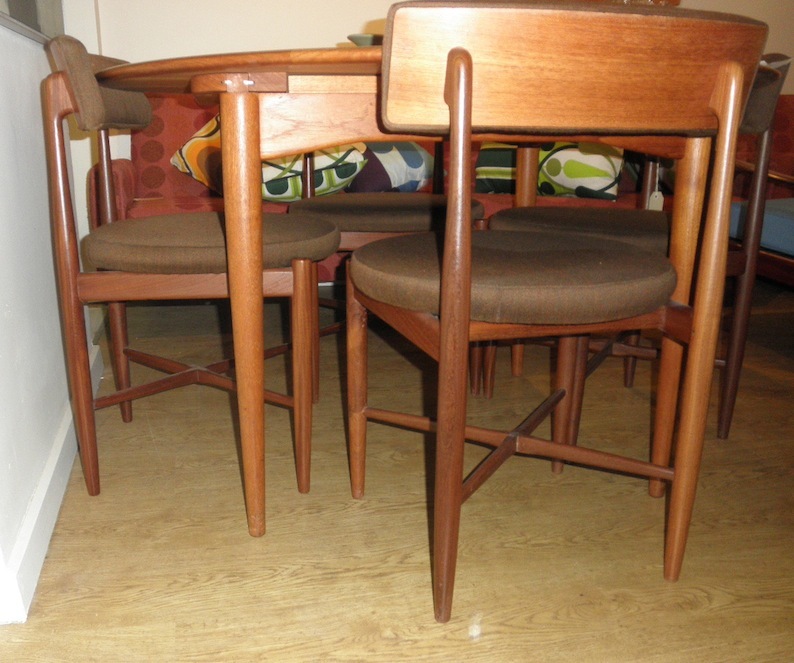 Set of 4 Ib Kofod Larsen Danish teak dining chairs circa 1960. These chairs are possibly English G plan licensed versions as they are un marked. 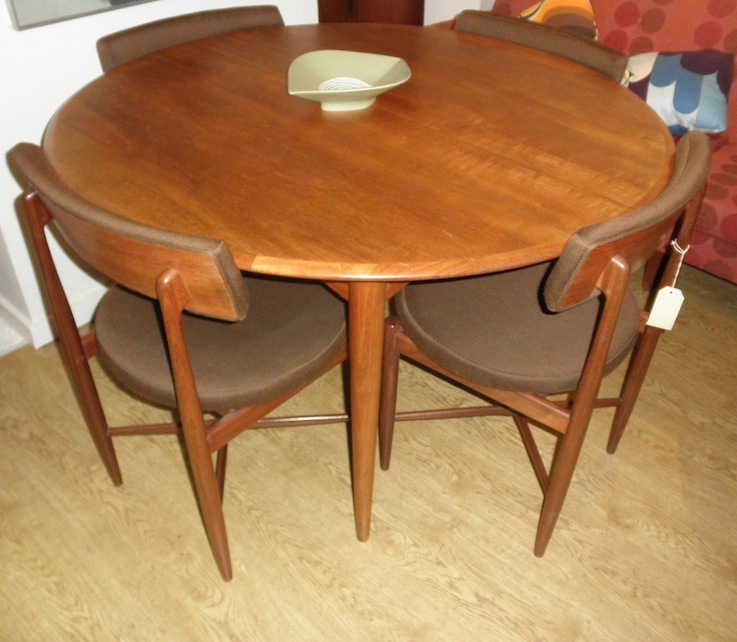 They look great around a circular table like the Parker one in the pictures and are in amazing original condition.